Wow! Check it out! 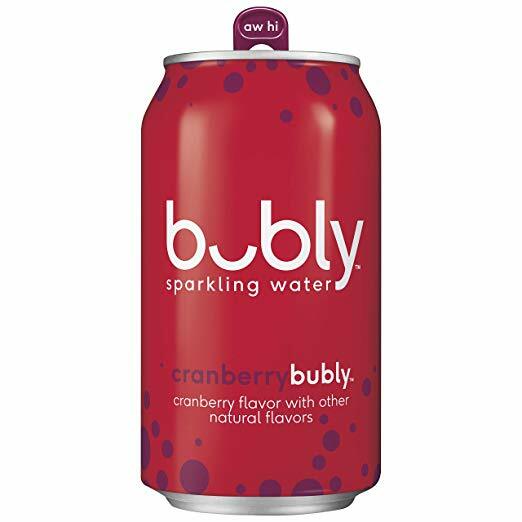 Right now you can get this bubly Sparkling Water, Cranberry, 12oz Cans, 18 Count for a great deal when you choose Subscribe & Save and clip the 15% off coupon. No hassle, no fuss and you can cancel your Subscribe & Save subscription at any time after you take delivery! If you have 5+ items on Subscribe and Save, you’ll save 15% off each order instead of just 5%! Find more Subscribe and Save deals here. Price could change at any time. Are you an avid Amazon shopper? I am thanks to Amazon Prime! With Amazon Prime I get FREE 2 day shipping on most products. Right now you can get a FREE trial of Amazon Prime!